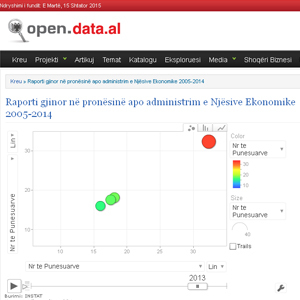 In the framework of Money, Government and Politics Program, the Albanian Institute of Science published articles of the Open Data Albania nature, containing statistical indicators about the social and economic situation in the country. The articles shed light on, and provide transparency over, the number of foreign citizens employed in Albania, number of non-profitable organizations created over the year, indicators of the social insurance scheme, the trend of crops production and import, and the size of the companies exercising their activity in the field of gambling. In the coming weeks, the Open Data Catalogue shall be enriched with more articles under the slogan Transparency through Data. 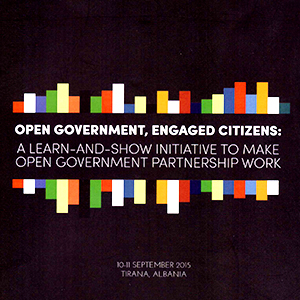 AIS is one of the partner organizations contributing to the Albanian Coalition or Open Government Partnership (OGP) Albania. 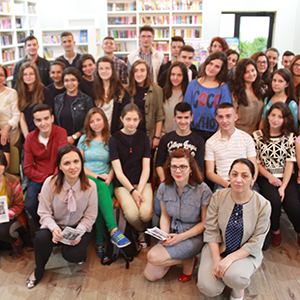 The coalition consists of several organizations committed to contribute to the Open Government Partnership process in Albania. AIS is part of the contribution given by the civil society in setting models and standards as per the declaration of OGP. AIS launches its appeal for network members on the Open Spending Initiatives. The initiative consists of creating a network of journalists, mainly local ones, engaged in informing the public about how the taxpayers' money is spent. A number of ICT tools for transparency shall be made available for the citizens to engage in monitoring and participating in the budgeting process for public services and works. The selected local journalists shall be part of some workshops and the DataThon Albania 2015 on public expenditures at the level of local government. New data updated under the Concessionary Register have shed light on the public services contracted through concessionary agreements. Such information has encouraged debate and media reaction to the need for predictable rules on how concessionary partnerships must be announced, and how the costs of the concessionary agreements are assessed. Open Corporates Albania is one of the catalogues of open data, which increase the visibility of commercial operators and businesses in the country. In August, data were updated on more than two hundred companies of a considerable commercial size, and operating in the country. All those interested may find information there on the companies, their shareholders, capital, annual turnover, declarations for tax purposes, or the benefits such companies get from the state treasury.